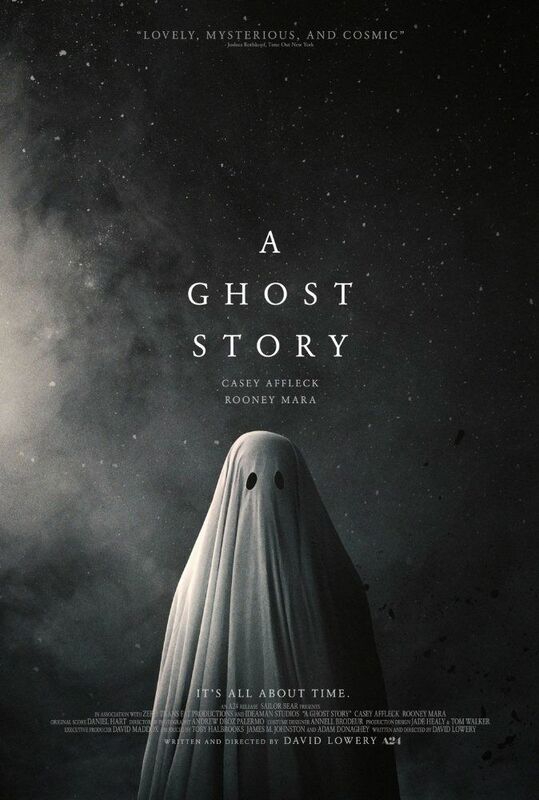 C (Casey Affleck) is a struggling musician living with his wife M (Rooney Mara) in a small suburban house. One night, they hear a heavy bang on their piano, but are unable to find the cause for the noise. Some time later, C is killed in a car accident outside his home. At the morgue, he awakens as a ghost covered in a white sheet with two black holes for eyes. As he wanders aimlessly through the hospital, no one else able to see him, he comes to the end of a hallway and sees a doorway of bright flashing light open in front of him. After staring at it, the doorway eventually closes. Read more on Wikipedia. Cast: Kenneisha Thompson, Richard Krause, Casey Affleck, Kimberly Fiddes, Grover Coulson, Dagger Salazar, Kesha, Rooney Mara, Daniel Escudero, Liz Franke, Sonia Acevedo, Barlow Jacobs, Mccolm Cephas Jr.